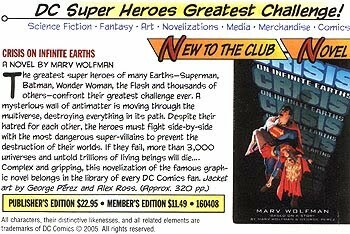 In the latest bookclub letter from www.sfbc.com, I noticed that the novelization of Crisis by Marv Wolfman is going to be available to the discounted book club (for $11.49, which is 50% off retail prices). 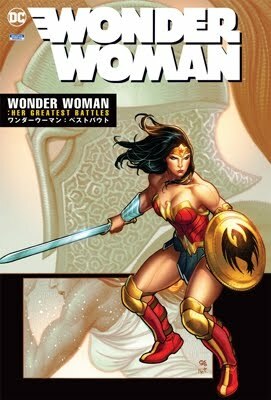 If you join the book club, you get three or four books free - you can definitely choose or request this one. Please use me (Vu Nguyen/sleeper101[a]hotmail.com) as referal, as I do get one or two books free. A direct link to this book is here: www.sfbc.com/..160408010. You do need login, in order to view it.